OK, I’m riding hot on my high from seeing Captain Marvel FINALLY. Yeah, yeah, it’s about time, right? Well, holy crap. It’s everything people said it was and more. Other powerful parts? When Carol is taunted with the fact that she is “only” human. And they show a montage of her memories, of her constantly getting knocked down—but constantly getting right back up again to try again. The soundtrack for the film was a lot of fun, bringing back the music from my high school years in the nineties. I immediately downloaded a playlist of the songs. 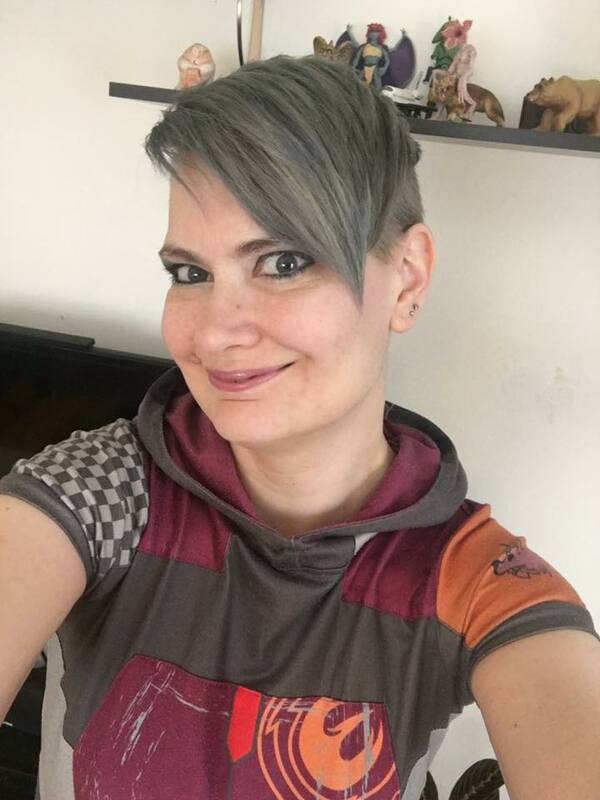 After seeing Captain Marvel, I felt energized, I felt seen, I felt represented. And THIS is exactly why it’s not about pitting one female super hero film against another. There can be and there SHOULD be more than one. More than ten. I mean, there are more than ten male super hero movies. Yet I continuously hear clueless dudes saying, “Why does there have to be ‘female hero movies?” To which I respond, “Why does there have to be male super hero movies?” Seriously? There are a LOT of different women out there in the world. I loved Wonder Woman, but I didn’t leave that movie feeling like I could identify with her a ton. Just because she is a woman doesn’t mean she’s like me. But Captain Marvel? I left that movie feeling really good, feeling like I could be just as powerful as Carol Danvers. Something clicked there, just like it clicked for other women and girls who saw themselves in Wonder Woman, or She-Ra, or Black Widow, or Shuri. I mean, think about it. When people went to see Avengers, guys had Captain America, Iron Man, the Hulk, Thor, Loki…so many guys to choose from to connect with. All different personalities, though I would argue, awfully white. What did women have? Black Widow. 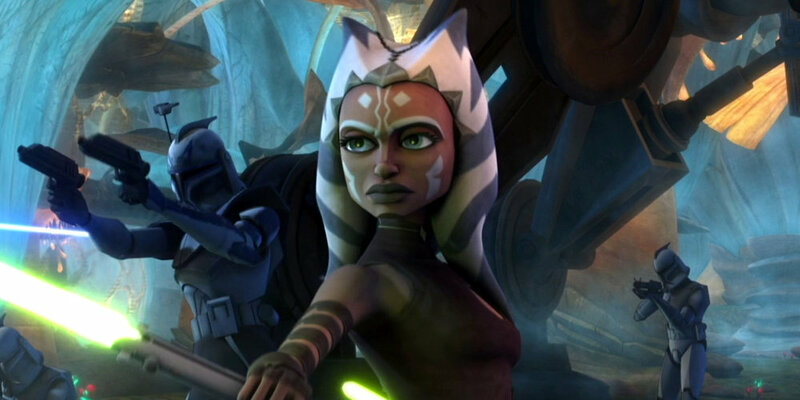 And while she’s definitely badass, I’ve never felt a connection with her at all. Things improved a bit as more movies were made, and we now have some choices, including Scarlet Witch and Shuri and Carol Danvers. Things are getting better, but we have a ways to go yet. The tribute to Stan Lee at the very beginning was very moving (I had something in my EYE, dammit). 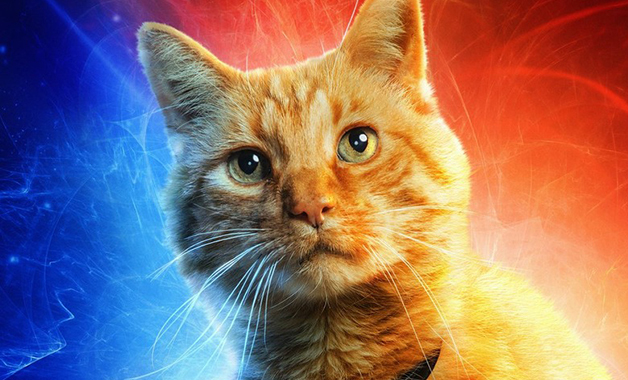 And of course, Goose the orange kitty was awesome and stole the show a bit (you all stayed for the SECOND post credits scene, right? My son and I were the only ones who stayed in the theater at our showing). Do you have to see Captain Marvel before you see Endgame? You don’t HAVE to, but I’m really glad I did. It connected some things from the past together, and now, after seeing Captain Marvel’s story, I am REALLY excited to see what happens with Thanos. All in all, if you haven’t seen Captain Marvel yet, go on! I don’t think you’ll regret it. If your kids were ok with seeing Avengers, I think they will be fine with this movie, too. These are just a few of the licensed book-inspired lines Badali Jewelry creates. Click to see more! If you’ve frequented the dealer’s halls of conventions such as San Diego ComicCon, Gen Con, Dragon Con, and more, you might be familiar with Badali Jewelry. If not, well, I’m here to show you what you’ve been missing! Badali is a geeky jewelry company owned and run by a family of…you guessed it, nerds like you and me. If you peruse their website, you’ll discover they are a licensed creator of Lord of the Rings jewelry. They also make pieces inspired by the books of some of our favorite authors, like Gail Carriger, Jim Butcher, Cherie Priest, Peter V. Brett, Patrick Rothfuss, Kevin Hearn, and more! These are not rip-off copycat pieces like some other companies (illegally) make. All Badali’s are licensed and official. It’s really fascinating to watch the care with which each of these pieces is made. If you follow Badali Jewelry on social media, you can also see little behind the scenes peeks at their processes as well. These are not mass produced pieces—each is made by hand and because Badali is a small business, everyone who works there seems to have something invested in every piece. It’s a joy to listen to them talk about the stories behind the different pieces of jewelry, and their unique appreciation of each. Everyone there seems to love books and nerdy pop culture, and they have made themselves a great part of the community. One of my favorite things about Badali Jewelry is their wide range of prices. There is something there for every budget, and even individual pieces have various options to help make them affordable. For example, Nenya, Galadriel’s ring from Lord of the Rings, is available in different metals, with different stones, etc. so you can pay anywhere from $79 to $2900, depending on what options you choose. Not only that, but if there is ever anything wrong with a piece you purchase, their customer service is incomparable, and they are caring and personal with their communications. The Badalis know their geek culture, and include the background of many of the pieces on their website. They explain why they designed pieces the way they did, and where the pieces are mentioned in a book, if they are replicas. You can tell they really care about their work. I read "The Hobbit" for the first time in 1967 as a junior in High School. It was the first book I had ever read in its entirety on my own. I was a very poor reader and it took lots of time, effort, and commitment on my part to read the entire book. Tolkien's style and the content of The Hobbit captivated my interest and I was compelled to persevere. I now read well and could fill a large trunk with the science fiction and fantasy novels I have since read. The reading of The Hobbit that first time was a turning point in my life. I have been shaped and molded by that first experience with JRR Tolkien in very real ways. I went on to read The Lord of the Rings™ while attending college from 1969 - 1971. Later I read The Silmarillion™. 40 years later, here I am a jeweler crafting The Ruling Ring and other officially licensed jewelry from fantasy novels. In searching for a name for our first daughter in 1975, I suggested Lothlorian. My wife liked the sound and idea, but shortened it to Loria (loth LORIA n). So even my first-born child’s name was inspired by J.R.R Tolkien, and is proud of it by the way. Growing up I was a nature boy. In 1956, at age 5, I found my first crystal at a landfill near our house. I had never held a crystal before. I still remember the joy of holding it, the magic of discovery and the thrill of possession. The finding of that first crystal gave me a love of crystals and minerals as well as the thrill of finding treasures in the earth. I have been an avid rock hound ever since. I know exactly what Bilbo felt when first he picked up the Arkenstone. I love finding things in the earth. In 1970, I noticed an acquaintance doing some Lapidary work, cutting and polishing gems. An hour later I had just completed cutting and polishing my first gemstone, a tigereye. In 1974, I learned to silversmith so that I could create my own settings for the stones I was cutting. I continued my study of jewelry design from 1975 through 1977. I opened my first jewelry store in 1975. I graduated in 1978 with a BS in Zoology and Botany and taught junior high science and high school biology for 7 before coming back to the jewelry business. As a jeweler, being highly influenced by the writings of J.R.R Tolkien, it was inevitable that I would one-day craft The One Ring™ of Power. I had always wanted a replica of the ring. I probably made my earliest attempts in 1975 or so; crude attempts to be sure. I set about to make it in a serious way in 1997, with several unsatisfying results. I finally produced a flattened style I deemed good enough in 1998. In 1999, the ring was further refined to the rounded comfort fit style that we currently offer. I contacted Tolkien Enterprises, now Middle-Earth Enterprises, and negotiated licensing rights so that I could make and sell The One Ring. That license led to our other licenses with fantasy authors over the years. Some have asked why would anyone want an object of abject evil like Sauron's Ruling Ring; created to enslave all of Middle Earth under his dark tyrannical rule. While that was the purpose for which The Ruling Ring was created, that is not what resulted, nor the only thing The One Ring represents. I feel the ring is a symbol much like that of the cross to Christians. The crucifix is in all reality a symbol of the greatest evil done in this world, but instead it has become a symbol of the greatest sacrifice ever made to rid the world of a great evil. I feel that the One Ring is a symbol of Frodo's willing sacrifice of his life to rid the world of a great evil. It is also a symbol of the bonds formed within the Fellowship's journey and their struggles to overcome evil. Does not the struggle to overcome evil bring out the best and the worst in us all? I believe that as the central object of The Lord of The Rings series, The One Ring also represents all that is good and true in Middle Earth. To me it represents Bilbo's plain straightforward manner and pluck, Frodo's tolerance, patience, and bravery, Gandalf's wisdom and commitment, Galadriel's beauty of soul and kindness of heart, Aragorn's patience and strength, Sam's constancy, loyalty, and humility, and the good in many others who had part in the quest to unmake the evil. It represents the sacrifice each was willing to make for the greater-good, the finest of human motivations and emotions. It is a moral and ethical if not an almost religious symbol. It reminds us that right will always triumph where good people refuse to tolerate evil, and that one individual can make a difference. It is a talisman of hope and faith. My jewelry is very much a reflection of who and what I am. Tolkien's writings have had a profound influence on my thoughts, my feelings, my likes, and my desires. I have been molded by life to be the man who would one day craft The One Ring of Power. If you haven’t seen Badali Jewelry’s work yet, it’s the perfect time! They are currently having one of their biggest sales of the year through February 28th. Why not check them out? Please welcome guest author S.E. Lindberg to the blog this week! Could we better our craft if we knew how emotions flowed from an object (fine art or prose) to a person (or vice versa)? Let us examine the sources and sinks of emotion: our souls. In playful art, this is quite easy to simulate; heck, consider the soul-currency for crafting in From Software’s Dark Souls videogame series—if only we could see as the undead do! In real life, studying the soul is harder. Anatomical artists had to grapple with documenting macabre scenes of opened bodies while remaining 'artistic'. For the dignity of the specimens and to satisfy the surgeons' needs, artists often found harmony by posing their subjects. Perhaps most famous are Johannes de Ketham's Fasiculo de Medicina (1491), Andreas Vesalius's De Humani Corporis Fabrica (1543), and Leonardo Da Vinci's notebooks (1500). The contemporary Bodies: The Exhibition continues this controversial tradition of displaying the dead artistically. The soul has never found, however. Despite ‘the opening of heaven’ with microscopes, the soul still eludes us. Indeed, the many myths of preserving a dead man’s soul, or gaining its powers, is pervasive. The notion of relics is common across cultures and time. It assumes that the soul is a contagion remaining attached to the body postmortem. Hence, the power of a Saint could be absorbed if one obtained his or her bones; this gave rise to the theft and desecration of many crypts and catacombs. Many crypts remain with the bodily relics on display. The crypt of Saint Munditia of Munich and the Vienna Imperial Crypts are fine examples. Other famous examples include the shrines of Capuchin monks in Rome and Palermo, Sicily (>6,000 bodies) and the Kostnice 'Church of Bones, Kutna Hora, Sedlec Ossuary, Prague (~40,000 remains). S.E. Lindberg resides near Cincinnati, Ohio working as a microscopist, employing scientific and artistic skills to understand the manufacturing of products analogous to medieval paints. Two decades of practicing chemistry, combined with a passion for dark fantasy, spurs him to write graphic adventure fictionalizing the alchemical humors (primarily under the banner “Dyscrasia Fiction”). With Perseid Press, he writes weird tales infused with history and alchemy (Heroika: Dragon Eaters, Pirates in Hell). He co-moderates the Sword & Sorcery group on Goodreads.com, and invites all to participate, and regularly interviews authors on the topic of Beauty in Weird Fiction. July 02, 2018 by Anton Strout in Science is for Everyone! A team of international scientists centered at Durham University, UK, has done research suggesting that a giant collision by an object about twice the size of Earth caused Uranus to tilt on its side and might also explain why the planet is so cold. These astronomers did the first high-resolution computer simulations showing varying massive collisions with the ice giant planet to try to figure out how the planet might have tipped onto its side. Via these simulations, they found that a massive object, probably a protoplanet made of rock and ice, smashed into Uranus about 4 billion years ago during the solar system's formation, and likely the caused the planet's tilt. But if such a violent collision occurred, how did the planet manage to keep its atmosphere? In other occurrences, such a collision would have caused the planet's atmosphere to be spewed off into space. The simulations explain this by showing that an impact object striking at an angle, a glancing blow, could have enough strength to change Uranus's tilt, but the planet would still maintain it's atmosphere. Such a collision could also explain the formation of Uranus's rings and moons. When the big smash took place, rocky and icy matter would have been jettisoned from both the bodies, and this matter would have been captured by gravity into orbit around Uranus. Eventually this matter would coalesce into moons, and may have altered the rotations of any pre-existing moons Uranus had. Uranus isn't just tilted onto its side. Its magnetic field is off-center, as well, and if the collision caused lumps of rock to form lopsided within the planet, it provides a reasonable explanation for this. How can a collision explain Uranus's extremely cold temperatures? If debris from the impactor formed a thin shell near the edge of the planet's ice layer, it could trap the heat emanating from the planet's core. Because the heat is prevented from escaping, the outer atmosphere would not be affected by it, and this can explain the super cold -357 degree Fahrenheit temperature of the outer atmosphere (as a comparison, Neptune is further from the sun than Uranus is, and its lower temperature is -360 degrees Fahrenheit, with it's average temperature actually being warmer than Uranus's at -353 degrees [via Cal Tech/Cool Cosmos]). All the findings of the Durham team's research can be found in paper "Consequences of Giant Impacts on Early Uranus for Rotation, Internal Structure, Debris, and Atmospheric Erosion," in The Astrophysical Journal. You can learn more about Uranus on NASA's website!